'Looks to me like Comey is an ideologue who didn't think he had a boss and could do whatever he thought was right. He wasn't elected, he had a boss. His boss wanted him to act like the employee that he was, and Comey stuck to his ideology instead, so President Trump had to let him go. The FBI Director is appointed to uphold the Constitution - it is not a narrow boss/employee relationship where they are compelled to blindly following self-serving dictates of a president! FBI Directors are appointed to 10 year terms for the express purpose of insulating them from political interference - Presidents are within their executive powers to replace them, in the full knowledge that they will also be subject to the firestorm and Congressional investigations that ensues! I just hope our next FBI director isn't so easily "shocked and confused" by what someone might say. Comey's allegiance was to the Constitution, 5 USC 3331. Look it up. Last edited by Jonahdog; June 9th, 2017 at 03:19 AM. Liberals devouring liberals? Your point is DJT is a liberal....gotcha. I will take that brand of liberalism anyday over the kind you and Rusha defend here daily. I'll gladly debate you on the topic of Donald Trump's long history of liberalism, which extends to his presidency. Shall I start the thread or do you want to? Comey" allegiance was to the Constitution, 5 USC 3331. Look it up. So what, so is every member of the armed forces, they still have to follow all legal orders given them by their superiors. I wouldn't expect much, my belief is it will be uneventful, not substantive in any way. We will see for sure but, I am going to laugh when it is a big flat zero for the marxist left, & their surrogate media counterparts. 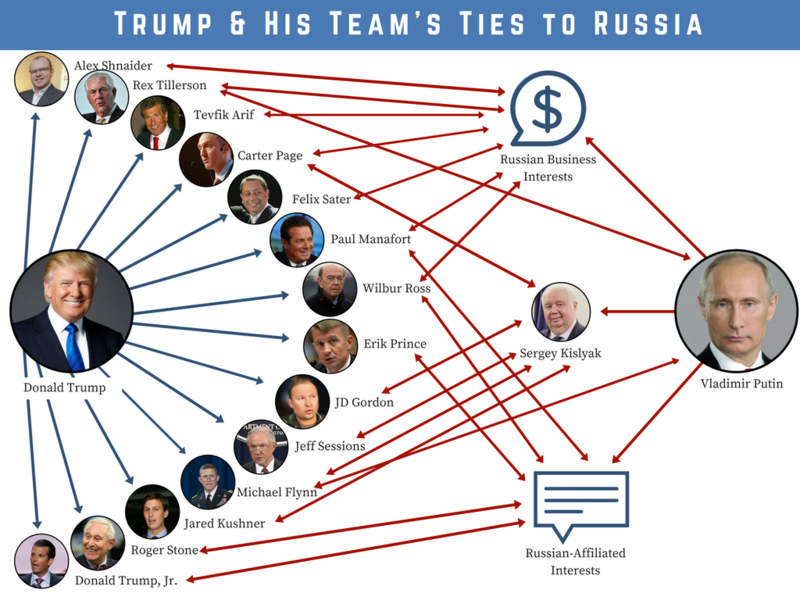 Since Faux News isn't reporting the truth about Trump's ties to Russia, who should those who aren't playing partisan politics look to? His long history of liberalism is getting along with the power structure so that he can do business. I realize you're too brain dead to see that. Comey says there are none. His delicate sensibilities barely allowed him to say as much, though. Thank you for acknowledging that Donald Trump is indeed a liberal and that it's business as usual (i.e. the same ole Establishment is running the country) under Trump. But then, if Donald Trump were a true conservative, you wouldn't have voted for him. And here I thought Robert Mueller's investigation had only just got started. After you do the same with the Clintons. True, but Comey was such a namby pamby, and so obvious about it. What an actor. He was "shocked"...he was "confused".....he was "queasy".....he was simply beside himself. Don't you wonder how the man managed to make it into the FBI much less become the boss? He let Loretta Lynch force him to lie about the Hillary scandal being a "matter" rather than an investigation. He didn't have the "strength" to stand up to Trump in a private meeting or over the phone. Six foot seven and not an inch of grit.